Creation Entertainment is known for hosting conventions for Twilight, Supernatural, The Vampire Diaries, Once Upon a Time, and more. 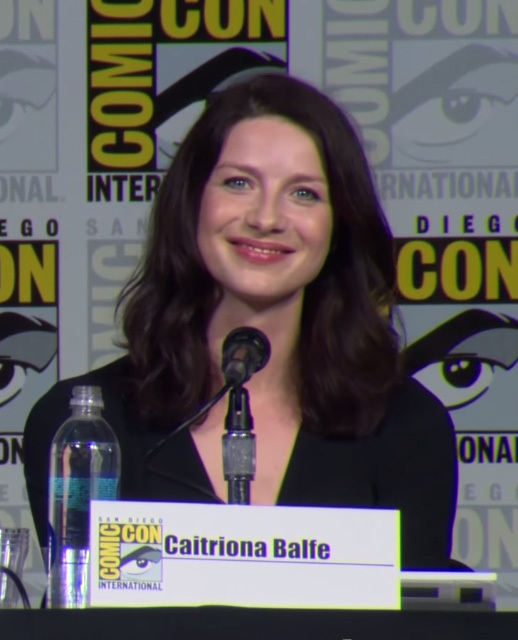 Yesterday, they announced they are beginning to host conventions focused on Outlander. Their first Outlander convention is called “Salute to Outlander” and is August 17-19, 2018 in Secaucus, New Jersey at the Meadowlands Exposition Center. Guests that have been announced so far are Caitriona Balfe, Sam Heughan, Steven Cree, and Graham McTavish. Other guests will be announced as they are confirmed. The only tickets available right now are the Gold Package ($599) and a first row Gold Package ($999). As of the time of posting, only seven more Gold Packages with first row are available, and many standard Gold Packages are still available. As the year proceeds, other ticket levels will become available: Silver Weekend Packages (where applicable), Copper Weekend Packages, General Admission Weekend Packages, Preferred Single-Day, and General Admission Single-Day (“will be tentatively become available as we get closer”). Photo ops and autograph tickets are also being sold, as well as tickets to attend the concert. Please click here to learn all about the convention, and click here to purchase tickets. This entry was posted in Caitriona Balfe, Events, Graham McTavish, Sam Heughan, Steven Cree and tagged Caitriona Balfe, Conventions, Creation Entertainment, Graham McTavish, Sam Heughan, Steven Cree by Sarah Ksiazek. Bookmark the permalink.